The 3rd Dance Transmissions Festival (DTF) 2012 began in earnest on Wednesday 14th November 2012 with a flashmob of dancers who were new to contemporary dance as the opening act. It was a chance for new entrants to the genre to get an experience of what it means to be a contemporary dancer. 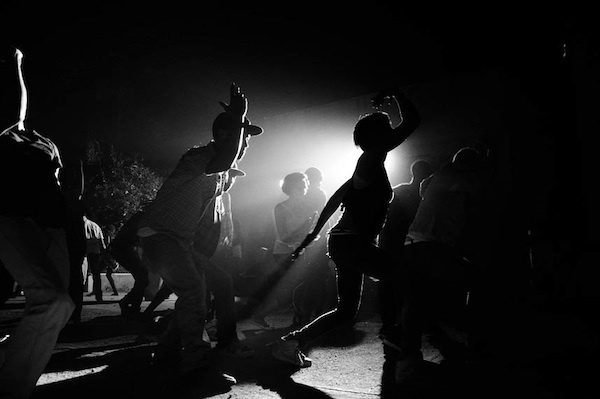 Due to some prior misunderstanding, the festival had to commence late, much to the chagrin of the audience who were excited to attend one of the premier contemporary dance showcases in Uganda. Needless to say, the minor inconvenience did little to put a damper on the festivities, and a mark for effort must be given to the spirited performers who gave all they had. In fact, it is worth noting that the festival particularly gave an opportunity to new entrants, particularly to the contemporary dance scene. Credit must be given to Jonas Byaruhanga, the Artistic Director of the DTF, for opening up and encouraging these young performers. During the festival, there were dance pieces that worked for me and others that didn’t work. I will start with the ones that worked for me and the reasons why I felt they were worth mentioning. The Watoto Church-based dance group Clay had a very interesting piece. It worked for me for the sole reason that they were brave enough to get onto stage without being preachy like their previous works. Being up-and-coming performers, I felt that they were better prepared this time compared with the Dance Week Uganda Festival this year and had stepped up a notch. Another piece that worked for me among the new entrants was the piece from Faizal Ddamba Mostrixx’s Emergency Exit. He created a very thoughtful piece and he utilized his strength, breakdance, to create a truly engaging and well-thought-out piece that showcased him as a performer. I am almost persuaded to believe that his numerous travels have had an influence on his creativity and I was very pleased with what I saw. Fana Tshabalala from South Africa in Gates of Hell 1 performed a very provoking piece that was difficult for me to decipher, and I was glad that I had read his synopsis in advance because I would have gotten completely lost. His technique was flawless and he fully utilized his strong body and masculine dancing. His use of the space was also very clever, and it seemed like his story unfolded as he moved through the space. As abstract as his piece was, it was beautiful and I enjoyed it for the sake of the dance. Keiga Dance Company’s Bloody-Mob-Heads also had a visually engaging dance piece which worked for the sole reason that they had very strong dancing as well as synchronized dancing. The story was lost on me, and there were a couple of transitional issues between the different moments, plus the fact that the text was not well articulated, so it was lost in the dance. But the physicality of the dancers is also worth noting, as they flew across the stage effortlessly and moved like their lives depended on the dance. Like I said earlier, Keiga had a physically engaging performance, but the piece was lacking in substance. Keiga Dance Company at Dance Transmissions Festival 2012. Photo by Astrid Dill. Of the new entrants, Surviving the Extreme by Edna Nnamanya, Kaddu Michael Gagawala and Ssebagaala Francis was a passionate piece that started off well, but it ended up being too theatrical with a lot of literal images that did not tax the mind. The choreography was also lacking in some areas due to the simple fact that they had a lot of material which they did not explore. The performers ended up saying too many things, confusing the audience. There were various moments that were awkwardly danced, and the transitions were unclear at worst and choppy at best. It was also clear to me that the choreography favoured the male dancers due to the physical demands it placed on the female dancer. She was breathless and her movement was inefficient by the three-quarter mark and this was very sad for me. Nnamanya is a gifted dancer, and the fact that they did not try to showcase her fully was disappointing. This goes to show the dominance of male dancers in choreography and the disregard of the female dancer in the contemporary dance field. For the pieces that did not work, I will start with Colorless Voices, by Keifa Oiro, Juliette Omollo and Isack Peter. There was a lot that went wrong from the onset. The piece was not bad per se, but it had a lot of information being communicated to the audience. On the one hand, it seemed like a piece about memories, but then it was about heroines, and later it went completely abstract with the male performers doing some peculiar improvisation which felt like it was taking the piece to another place altogether. 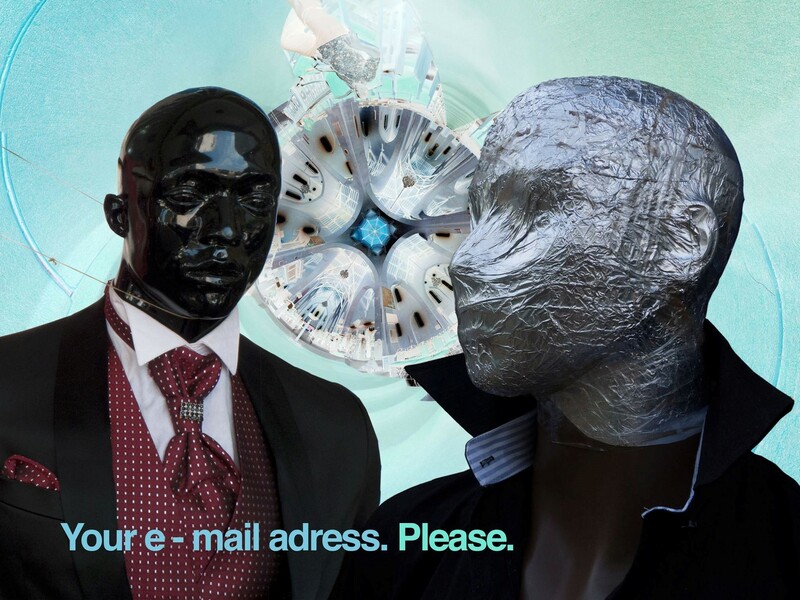 There was also the fact that the metallic frame they had employed in their piece was not used to full effect, yet it had the potential of communicating such a strong message. Plus, there were sections that went on for too long and agitated the audience. Another one that did not work for me was the piece by Samuel Ibanda. Those who watched may find my choice absurd but it is with reason: His dancing was a little too showy for me, and I felt that he had a lot of material to work with which he did not use. He succeeded in convincing us that he is a brilliant dancer—which he is. Unfortunately, he did not use his technical prowess to full effect and ended up not communicating at all with the audience. The choice of music was another element that he failed on. His dancing was completely out of the music and he did not interpret the nuances within the piece of music. I was disappointed in this regard and wished he had left me with something to take home. The DTF was also an opportunity for contemporary dancers who had not been on stage for a while. 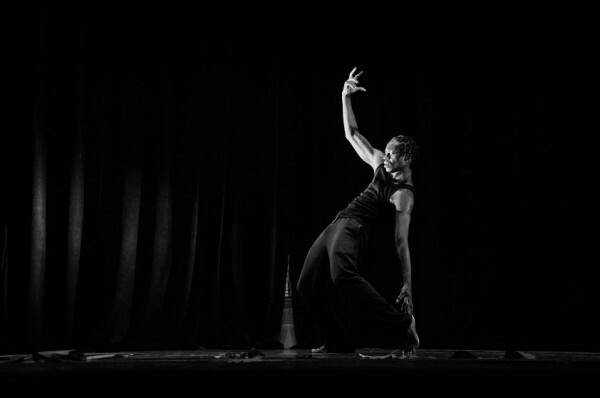 Roger Masaba was one of the beneficiaries, and he came out with an avant-garde dance piece that left many dumbfounded. He performed with a sculpture and for sound he used a live BBC World Service radio broadcast. It would be grossly unfair to say that it was not innovative. On the other hand, it was distracting, and the use of it did not work for me because it was hardly related to what Masaba was communicating on stage. Another point to note is that, for an experienced performer, he made very little use of the sculpture on stage and his piece seemed very under-rehearsed, almost improvised. The use of text was very prominent at this festival, and the general feeling from certain members of the audience was that it was not effectively used. It became very obvious that some of the performers did not give their text much thought, it was used almost like an accessory rather than a vital part of the dance piece. It was a bold move that was not well conceived and developed, but with the potential to give dance performers greater depth. I did like the fact that most of the performers had an underlying message in their pieces, giving credence to the ability of dance to challenge society to change for the better. 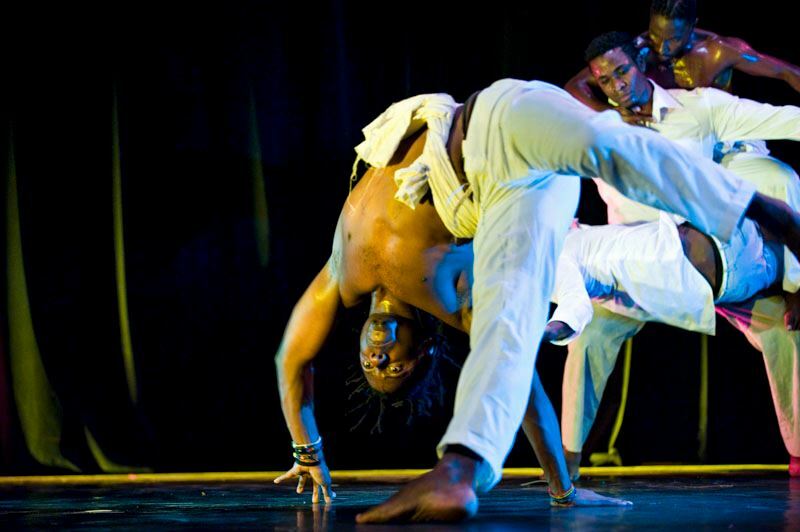 It is also worth noting, that despite the obvious challenges with regard to interpretation of the different elements of the dance pieces showcased, there have been strides made in the development of contemporary dance. A lot of risks have been taken, both physical and mental in the execution of the different pieces of work. I want to congratulate the dancers who performed on talking bold steps to define their place in the annals of contemporary dance. The fact that these artists even have the courage of stepping on the stage, no matter what stage of development their work is at, is testament to the potential of dance to empower, communicate and change contemporary society. I look forward to new works from these and more artists to come. 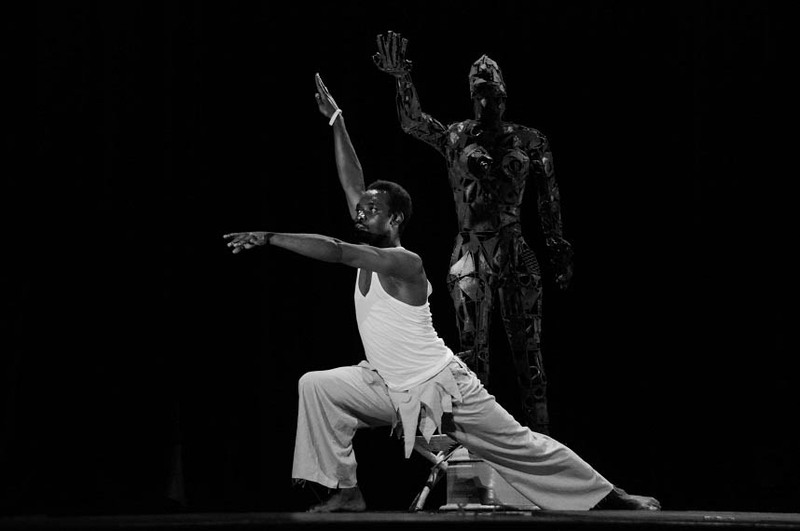 Please note: Samuel Lutaaya also performed as a dancer and choreographer in DTF 2012. What was the title of Samuel Ibanda’s piece?